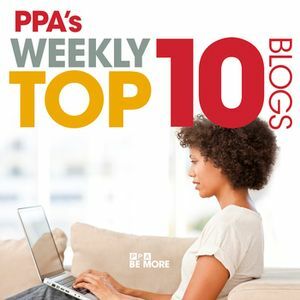 The Energy of Motion, Copyright Updates and Fighting PSD with Photography: Our Top Ten Blog Posts for March 27-31, 2017. As we say goodbye to March and head into April, guard yourself against any "April Fools" pranks by staying indoors and diving into the best photography articles of the week. Here are our top blog posts from around the web...no kidding. CAPITOL HILL ADVOCACY: Major updates occurred this week for PPA's efforts in D.C, including an important bill leaving committee and heading to the House. Check out our updates and refresh yourself and your friends on the need to sign up to support the Grassroots Action Team. Sue Bryce Helps You With: In-Person Selling! DEBUNKING THE IN-PERSON SALES: Speaking of amazing tutorials, the latest edition to the PhotoVision library is "In-Person Selling" with Sue Bryce. As a photographer and business owner, Sue Bryce discusses how in-person sales can be directly correlated to an increase in your profits. She also explains how the PRINT movement has restored the value of printed images and empowered photographers to present their art in the way it was intended. Federal Judge Dismisses Case Against Kentucky Drone Hunter. DRONE LITIGATION: A federal judge has thrown out a lawsuit against a "drone hunter" who shot down a drone above his property. Find out why (it has more to do with legal standing than property rights and airspace) and get ready because this is surely just the tip of the "drone-lawsuit" iceberg. PERSEVERANCE: PetaPixel has an inspiring story about the therapeutic benefits of art for one veteran . Documentary photography has helped Baltimore native Michael McVoy deal with his struggle. Read the interview and see his work here. HISTORY IN THE MAKING: This in-depth interview gets the nitty-gritty details of what work-life is like in the White House Photo Office. Chuck Kennedy worked as a White House Photographer under the Obama administration and gives PetaPixel an on-the-ground look behind the scenes.